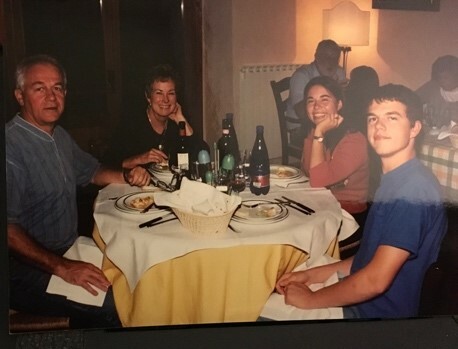 This photo at left shows Franco with our family members at Fattoria Lavacchio when he was about 17 years old. We had already been visiting the vineyard for several years. 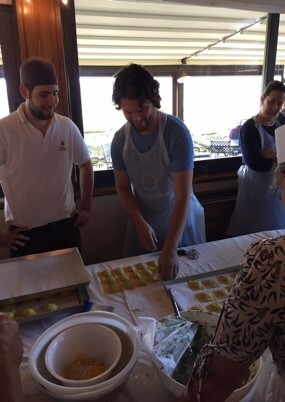 Fast forward, the photo at right shows Franco conducting a ravioli cooking class at the vineyard with Chef Mirco Malevolti just last year. We have visited Fattoria Lavacchio one or more time every year for two decades and now we invite you to join us for a profound Tuscan culinary experience at our vineyard home near Florence. This web site will contain information about our new travel itineraries, including how you can join our groups. I know that travel to Italy is a dream for many food enthusiasts. I hope to see you on one of our exciting excursions.